Here are some photos of sent to me by Tony. 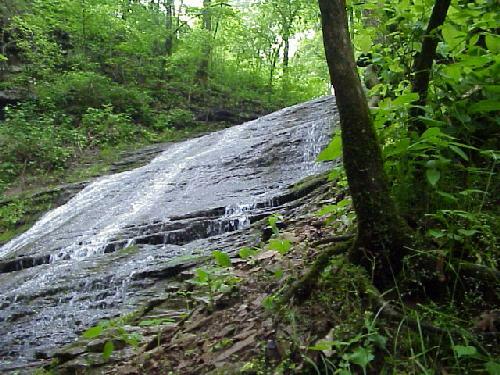 He said: "There are two cool waterfalls on The Natchez Trace in Mississippi and Tennessee. 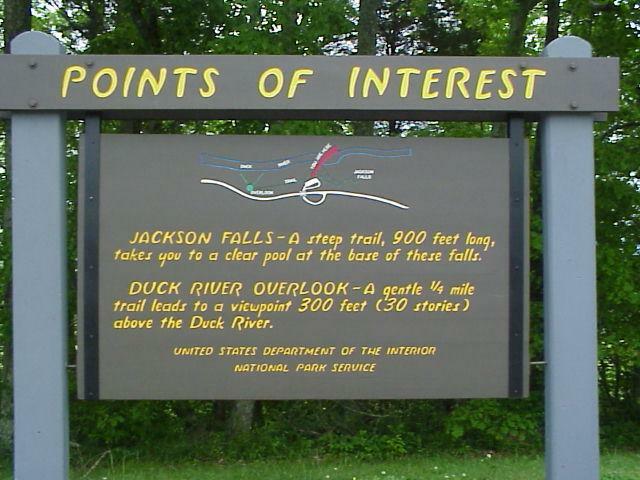 The first pictures attached are further south, but after the Jackson Falls sign, they are pictures of Jackson Falls. (I think that sounds like a clue!!) 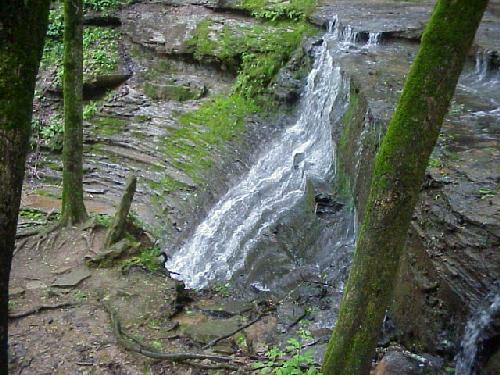 Jackson is a two part fall, (in low water when these pictures were taken.) 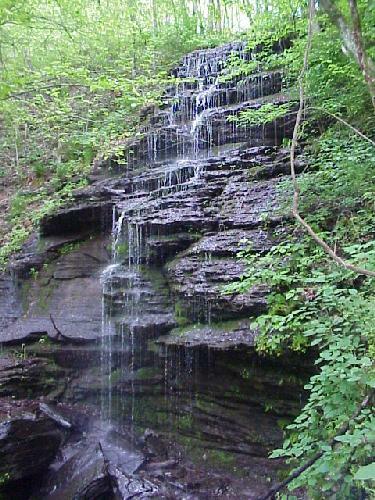 First you see the lower fall, and then when you get right to it, you see the upper fall (slide?) 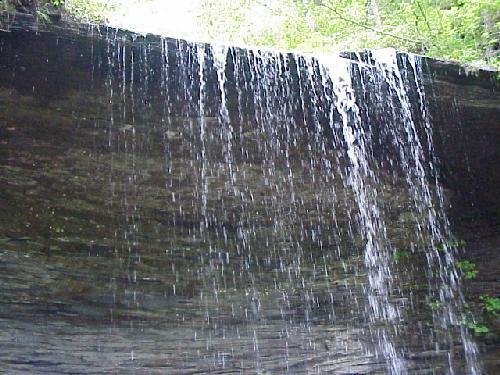 in the last photo which goes off at an odd hidden angle from the main falls.